We’re living in the age of consumerism and materialism. Life has become a hectic struggle. We’re so busy chasing ever more that our lives have become cluttered with unnecessary belongings, responsibilities and extra burdens. These things have clouded our lives so heavily that it’s difficult to focus on the things that are really important and meaningful to us. We attribute meaning to insignificant things, while completely missing out on the truly magnificent aspects of life. By living simply, you can put much greater emphasis on the central aspects of your life that are really important to you. Less can often be more. For this reason, the following presents 102 inspiring ideas to simplify your life. These tips will help you to rid your life of unnecessary clutter. The acquisition of material belongings has become a substitute religion to materialists. You are no longer defined by your thoughts and actions. Instead, you are defined by what you possess. As a result, we always seek to acquire more. More money, more possessions, more power. At the same time, we seek to fulfill all our desires, without realizing that they are more or less insatiable. The whole pursuit makes us less content with what we have and shifts our attention to everything we don’t have. Discontent is the likely result. Living simply introduces a refreshingly new perspective on life. It helps you to eliminate the unnecessary so that you can spend more time doing what’s really meaningful to you. If done with dedication and foresight, living simply can help you to transform a chaotic life into a more peaceful and fulfilling existence. Simplifying your life means to gently turn your life upside down and to shake patiently. It means to let go of aspects of your life that do not add value, meaning, purpose and fulfillment. Doing so will help you to focus more on doing what you truly love. The whole process of turning your life upside down might be difficult in the beginning. But in the end, you will be left with only the essentials that contribute true value to your life. Living a simple life allows you to get rid of all the noise, junk and excess in your life. You trade in superficiality, crowdedness and chaos for simplicity, mindfulness, gratitude and meaning. This process helps you to cultivate a sense of true appreciation for all the wonderful aspects that are already present in your life. It will help you to realize that you already have everything you need to be happy, fulfilled and satisfied. If you’re unable to draw happiness and content from what you have, acquiring fancy new things and accomplishing the most astonishing things won’t change that. Even if all your dreams and wishes were miraculously fulfilled in an instant, it would not contribute significantly to your long-term happiness. In the short-term, your happiness might spike, yes. But in the long run, it will stay exactly at the same level. This effect is known as the hedonic treadmill. But what are the benefits of living simply? Living simply comes with a wide variety of different benefits. Let’s have a quick look at these benefits. Peace of mind. Simplifying your life can help you to release the tight grasp material possessions exert upon you. It will help you to stop pursuing soul-crushing activities for the sole purpose of having enough money to acquire new things. Ultimately, this will add more peace to your life. Higher productivity. If you are less distracted, you will become more productive. Living a simple life helps you to spend less time with activities that are not relevant. As a result, your time is less consumed by possessions. Clarity and focus. When you simplify your life, you gain more clarity on what is really important to you. It allows you to focus on exactly those aspects of your life that add true value. Freedom from possession. Living simply provides a way of enjoying life without being dependent on material possessions, accomplishments and other rather superficial things. It also encourages us to free ourselves from being possessed by things. Save money. It goes without saying that living simply helps you to spend less on things you don’t really need. It can contribute to a certain level of financial freedom if you only buy what you really need. Own better and more valuable things. Instead of owning many things of low quality and value, simplicity provides the opportunity of having things of higher quality and value. Freedom from comparison. Comparisons are almost always unjust. We simply lack the right metrics to compare the accomplishments of our lives with those of others. Discontent and unhappiness is the inevitable result of comparing yourself to others. Living simply helps you to free yourself from the need to compare. There are many more benefits to living simply. But I think those mentioned above summarize a great deal of the manifold advantages that come from simplifying your life. Simplifying your life isn’t always easy. And it certainly doesn’t happen overnight. 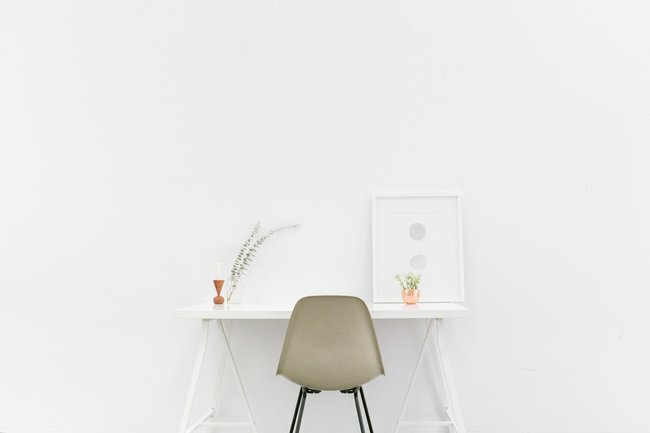 The number of people who become minimalists from one day to the other is relatively small. However, one does not necessarily have to instantly rid everything from one’s life in order to live simply. It can prove to be far more beneficial to simplify your life step-by-step. By taking small steps you can change your life gradually. A little less here and a little less there can provide great results in a relatively short time. It also gives you the advantage of doing things more intentionally and with greater thought. Additionally, doing it step-by-step prevents you from acting too hastily, without thinking things through. Consider the process of simplifying your life as a journey. It’s not so important to reach the destination quickly. Instead, it’s important to change a wide variety of beliefs, mindsets and habits throughout the course of the journey. Almost anyone can de-clutter to the greatest extreme. But only few would be truly content and happy with the result. Therefore, think of getting to simplicity as the gradual process of learning to be content with less. If you’re looking for inspiring ideas to simplify your life, the following is a great point to start with. While there is no step-by-step instruction for living simply, it can prove to be beneficial to have a couple of tips at hand to make things easier. Simply pick those ideas that you find most beneficial for your own life. Choose quality over quantity. With every decision you meet, try to choose quality over quantity. It’s not important to have as many possessions as possible. All that matters is to have quality things that add real value to your life. It’s far better to have a few possessions you really love instead of having tons of mediocre, doll and boring things. Evaluate your possessions. Make a list of everything you own. Once you’re finished, assess the importance of each possession. Ask yourself if the object contributes real value to your life, or if it makes things more complicated. Most likely, you will discover that many things drain your energy or bank account or simply steal valuable time from your life. But you will also find central aspects that add joy, satisfaction and fulfillment to your life. Work gradually on removing the nonessential possessions you’ve identified. You won’t regret it and it will give you more time to spend with those you love. Limit media consumption. A great proportion of our media consumption does not add any true value to our lives. Watching television, reading magazines and surfing the Internet are great entertaining things to do, but they can also heavily distract us from what is really important. Don’t let media dictate or dominate your life. Limiting your media consumption is definitely not easy, but it will give you a lot of time to spend with activities that are more fulfilling. Free yourself from consumerism. Don’t let your buying habits be dictated heavily by crafty marketers. Advertising creates artificial needs for things that you don’t even need. Free yourself from the slavery of consumerism. It will greatly simplify your life. Not only will you buy less, but you will actually start to need less as well. It can be a magnificent experience to discover that you don’t need all those fancy and expensive toys. Plus, they will all be outdated within two or three years. Spend less time on social networks. Hand on heart, does social networking really contribute true value to your life? In almost all cases, it will only distract you and waste your time. All those status updates and tweets clutter your mind and keep you from doing something more productive. Similarly, it’s not always important to stay up-to-date about the activities of your friends. In many cases, these people aren’t even your real life friends. Or acquaintances in whose activities you’re not particularly interested in. Evaluate your time commitments. You can simplify a great deal of your life by prioritizing your commitments and removing those that are leading you nowhere. It can help you to de-clutter your time schedule significantly. Living simply means to stop filling your days from morning to evening with time intensive commitments. Focus on meaningful and important commitments and let go of unproductive and insignificant ones. Do more of what you love. Pursue things you love. Spend more of your time with activities that fulfill you. Simplify your relationships. Try to fix bad relationships or end them if fixing is not an option. You’re simply wasting time with people who drag you down and drain your energy. Cut those relationships or find a way not to invest great amounts of energy in these friendships. Evaluate your goals and ambitions. We’ve all been taught that setting goals is really important. But sometimes, our lives become so cluttered with all kinds of goals that we quickly lose sight of them. It doesn’t have to be this way. Set yourself a limited number of meaningful goals and work diligently on their accomplishment. Once you’ve reached these goals, set new ones. Reducing the amount of goals you pursue will help you to significantly increase your focus on the remaining goals. This in turn will help you to be more productive and successful. Stop multitasking. Multitasking is a myth. If you still believe in it, you might be decreasing your productivity significantly. Research has shown time and time again that multitasking is not possible. Trying to switch from one task to another will only increase stress levels while at the same time lowering your productivity. In short, don’t do it. Instead, focus all your attention on mastering the task at hand. Once it’s complete, address the next task. Learn to say no. Rejecting requests can be quite difficult. But it can make the difference between living a peaceful, simple life and being constantly in a rush. If you’re unable to say no, you’ll automatically take on way too many obligations, responsibilities and tasks. Simplify your life by having the courage to say no. Figure out what is most important to you. In order to simplify your life, it’s important to have a good understanding of your priorities in life. Figure out what you value most. This process can take time, but it’s well worth it. It will help you to better prioritize and to get rid of what you no longer value. Prioritize your work tasks. If you address your tasks and responsibilities at work in a “first come, first serve” fashion, you’ll most likely drown in work. Instead of trying to get everything done at once, try to prioritize each task. Address high-priority tasks with an important outcome first. After that, focus on lower priority tasks. See if you can eliminate tasks with the lowest priority. Analyze how you spend your time. Scrutinize how you spend your day. It can be really helpful to write down how many hours or minutes you spend each day with certain activities. It will give you a great overlook on your “time account” and helps to identify time intensive but purposeless activities. Evaluate if the activities you spend your time with align with your priorities. Eliminate time wasting activities that contribute nothing to the accomplishment of your goals. Spend more time alone. Most people are uncomfortable with having to spend time alone. Don’t be one of them. Solitude can be good for you. Use the time you’re alone for regeneration, self-maintenance and self-growth. Reduce digital communication. Simplify your life by limiting the amount of time you spend with digital communication. Set specified times for writing emails, phone calls, instant messaging, etc. Don’t let these forms of commutation interrupt your work flow. Consolidate your email accounts. Email accounts are free, which is why almost every one of us has at least two email addresses. Consolidate all your accounts by setting up redirecting rules or forwarding messages to your primary email account. It will help you to avoid checking various email accounts throughout the course of the day. De-clutter your email account. Not even half of the emails we receive are relevant to us. Unsubscribe from irrelevant newsletters and anything else that doesn’t add value. Turn off all notifications from Facebook, Pinterest, etc. You don’t need these kinds of emails anyways. And it’s much more relaxing to have only 1 or 2 emails waiting for you in your account than 10 or 20. Use disposable email accounts. While we’re on the subject of emails, make use of throwaway email accounts. They help you to keep the amount of spam/newsletters you receive on your primary email account to almost zero. Check emails only once or twice a day. Another important aspect of simplifying your life is to check emails only at specified times. Keep it to a maximum of twice a day. Spend more time with your loved ones. At the same time, reduce time spent with energy draining people. Eliminate duplicate things. How many duplicates, triplicates or even quadruplicate do you possess? An excellent way to simplify your life is to reduce duplicate items in your possession. No one needs two smartphones, two cars, two televisions, two computers, etc. These duplicates do not provide more value to the quality of your life. They are simply not necessary, so get rid of them. Do more of what makes you happy. Try to spend less time with soul-crushing activities. Instead, use the newly found time to do things that make you actually happy. Live in the moment. Don’t let the past haunt you and fear of the future paralyze you. Instead, enjoy the beauty of the moment. This present moment is all you have. Use it to build a stable fundament for your future. And forget about the past. Use the experiences you’ve made in the past as important lessons to grow stronger. And try to avoid making similar mistakes in the future. Then you’ll be fine. Learn to be content with less. Humans tend to strive for ever more. We continuously seek to get more and more, without ever reflecting this attitude. But it’s important to realize that we will never reach a point where we actually have enough. There will always be new gadgets, faster cars and more fashionable clothes. All these material things continuously keep feeding our ingrained desire of having more and more. Simplicity can introduce an end to this cycle. By learning when enough is enough, you can greatly simplify many aspects of your life. Remove the “just in case”-concept from your life. More often than not, we keep things “just in case” we need them. Even worse, we often times don’t even need many of the items we buy. We simply buy them “just in case.” Avoid being a spare parts depot. Only buy what you really need, when you need it. Live more deliberately. Your time is a finite resource. Spend it intentionally and make sure to pay the fullest attention to whatever it is you’re doing at the present moment. Get rid of negative habits. Your habits can be a great obstacle to its living a more simplified life. Identify habits that stand in-between you living simply. Get rid of these negative habits by replacing them with more beneficial habits. Put your finances on autopilot. Simplify your finances by setting your bills to be automatically deducted from your account when due. If you’re still writing checks, you’re wasting time. Similarly, see if you can set up your paycheck on direct deposit. Get rid of your credit cards. Throw away all your credit cards. If you really, really need a credit card, use a prepaid credit card. Otherwise, your credit cards will only throw your money out of the window with exorbitant interest rates. They also lead to really bad spending habits and make you more likely to end up in debt. If necessary, consolidate your credit by combining all your accounts into one. Doing so will also help you to drastically reduce the amount of phone calls or letters from credit companies. Cancel (expensive) memberships. Have a look at your monthly bills. See if there are membership services you no longer use. Cancel everything you don’t need. Who really needs services such as Netflix, Prime and Hulu all at the same time? Similarly, you can greatly simplify your life by canceling unused recurring subscriptions or bills. It’s just a couple of dollars here and there, but they can quickly add up. Get rid of “legacy belongings.” We all keep things simply because they’ve been with us for a long time. It’s difficult to let go of these, even if they don’t serve any value anymore. Remove all possessions from your life that are no longer of any valuable use to you. Stop putting things into storage. Putting things into storage is a comfortable way of delaying the decision to get rid of them. We keep things stored because we might use them at a later date. But often times, this day never comes. In almost all cases it isn’t worth it. Avoiding this mistake can help you to greatly simplify your life. Be comfortable with doing nothing. Unfortunately, not doing anything is widely considered a mortal sin. Many people hate doing nothing because it makes them feel unproductive. But went comes to simplifying your life, being able to just relax and to do nothing can be absolutely amazing. Cut the TV/telecom cord. Get rid of your landline telecom connection, if you primarily use your mobile or a voice over IP service. At the same time, cancel your cable TV service. Watching TV only clutters your mind and steals your time. Plus, you’ll save a lot of money by canceling your cable TV. Stop watching TV. Don’t let the television program dominate your life. You can gain a great deal of freedom by getting rid of your TV. Stop watching TV series. As tempting as they are, TV series are highly addictive. They are designed to keep you watching. The only cure is to watch each episode. Or, you simply stay away from these TV formats in the first place. Save your loose change. At the end of each day, put all your loose change into an old glass jar or in a decanter. It’ll help you to get rid of those annoying coins in your purse. At the end of the year, you’ll have several hundred extra dollars waiting for you. Reduce your wardrobe. Simplifying your wardrobe can help you to spend less time each morning wondering about what you should wear. It will also help you to de-clutter your closet. Focus on keeping only those cloths you actually wear. Donate the rest. And when you buy new stuff, avoid extravagant fashion trends and focus on timeless styles. Clear your desk. No matter if it’s your desk at work or your desk at home, make sure it’s de-cluttered. If your desk is messed up it will distract you and cause extra work because of all the disorganization. Always ask the all-important question. Whenever you meet a decision, ask yourself if it simplifies your life. If it doesn’t, consider if it’s the right decision. I hope you enjoyed this list of the best things to do to simplify your life. Great list you have here Steve. That’s fantastic! Books are true wealth. And if you want to simplify things, consider getting an E-reader. great work,trying to live a simple life. Awesome work, and very inspiring. I love how the benefits of a simple life if things work. Thank you so much for sharing it is really worth reading!